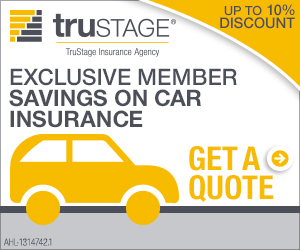 Commodore Perry Federal Credit Union members may qualify for discounts on car insurance through the TruStage Auto Insurance Program. You could save big, and it can be easy to switch carriers—without losing any money. As a member of Commodore Perry Federal Credit Union you are eligible to enroll for $1000 of no-cost TruStage® Accidental Death & Dismemberment Insurance underwritten by CMFG Life Insurance. AD&D insurance can pay a cash benefit to your beneficiary if you die in an accident or suffer a serious injury. Once you enroll, AD&D insurance pays a cash benefit to your beneficiary if you die from an accident or you are seriously injured. Credit union members ages 18 and over can also choose to increase their protection (Member Only Plan) or their family’s (Family Plan) with up to an additional $300,000 in coverage. 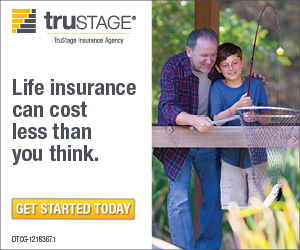 TruStage® Life Insurance pays an income-tax free, cash benefit that your family can use for any reason—like funeral expenses, mortgage payments or unpaid debts.